Early in 2017, Sleep Number introduced its 360 Smart Beds series. Part of the smart bed trend, the beds in this series will automatically adjust the Sleep Number (air pressure) and the position (if on an adjustable base) in response to sensors’ monitoring of the user’s movements. For two-user beds, this includes separate adjustments for each side. The models in this series include the new p6 Bed from the Performance Series and two – the new i7 Bed and the revised i10 Bed – from the Innovation Series. The Memory Foam Series has been discontinued. By January 2018, they no longer listed their beds by the existing series, but as Sleep Number Beds and 360 Smart Beds. In 2016, three to four Sleep Number beds had memory foam. These included the regularly listed m7, m9, and i10, and the occasionally listed limited edition models mLE and iLE. This does not take into account beds made especially for the shopping channel QVC. Now the new i7 Bed is the only Sleep Number model with memory foam. The i10 and the iLE have been revised in height and content, no longer including memory foam in their constructions. The i7 Bed was the latest addition to the Innovation Series of Sleep Number beds. Because of the name, it could be considered a replacement for the discontinued m7. Though on the top it is a Memory Foam Series type bed, technological features (namely in the cover) put it in the Innovation Series. Since beds in a series were numbered in order of their introduction. In 2018 the i7 was converted to a smart bed with SleepIQ and Responsive Air™ Technology as standard features. The new name is 360 i7 Smart Bed. The 12” high m7 had 3” of gel-infused memory foam, but the 13” m9 had 4” of memory foam (with the LuxFit trademarked name) plus 2” of polyfoam. The 11” i7 has 2.5” of memory foam, 1.5” polyfoam. While the memory foam in the m7 was infused with gel, there is no mention of gel in the m9 or i7. With gel so common in the memory foam used by many brands of mattresses, there seems to be reasons why it was not used in the later Sleep Number beds. It may have been support or durability issues, or it may not have been as effective as expected in cooling. Without a more detailed description of the materials (or a physical inspection of these models), it’s hard to determine why the gel is no longer used. 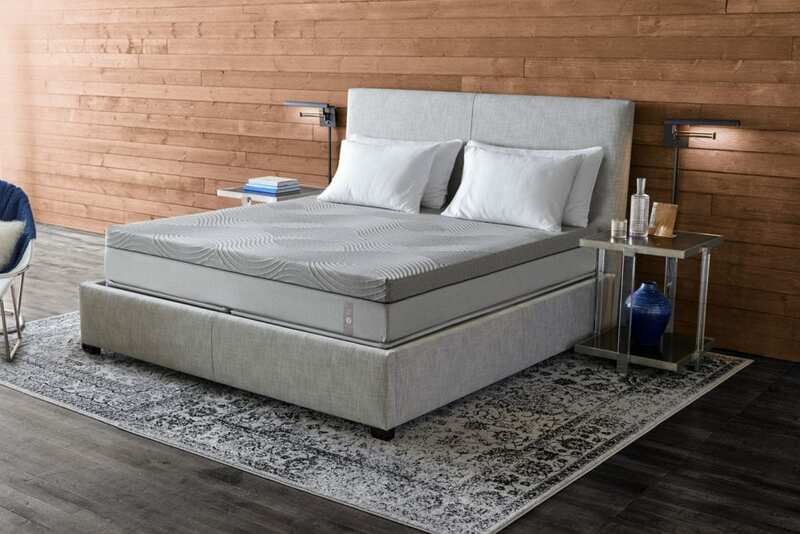 Several experts in mattress design and construction, including Dr. Rick Swartzburg (a chiropractor and VP of Product Development for Relief-Mart), have questioned the use of gel for cooling in mattress foams. Gel infusion has also been linked to the breakdown of memory foam. The adjustable air support in the i7 Bed is the same as in other Sleep Number beds, with one 6” high air chamber in Twin XL and Full sizes, and two in Queen, King, and California King. Air pressure in the chambers is controlled by hand-held remotes. Users set their preferred firmness by selecting their Sleep Numbers, with 100 as the firmest. The air chambers rest on a 1” fiber pad. What makes the i7 a 360 Smart Bed are sensors which detect a sleeper’s movements. Taking these as indicators of how the user is sleeping, they adjust air pressure until the user is sleeping normally. The control module uses sleep data from consecutive nights to calculate the best settings. This is an adaptation from smart adjustable bases, which automatically adjust the position of the bed. When a FlexFit adjustable base is used with the Sleep Number 360 Smart Bed, both position and pressure may be optimized for the sleeper(s). The 360 Smart Beds technology can be linked with Sleep Number’s SleepIQ System, as well as various health and wellness apps. The SleepIQ App is available online for Apple IOS and Android mobile devices. The Sleep Number i7 Bed is an innovative design with merit. The adjustable air pressure allows support to be customized for the sleepers. The 2.5” memory foam comfort layer provides pressure relief and aids in spinal alignment. Customer response indicates that this works for many users, but others indicate problems, a few with the memory foam, but more with hammocking. The use of memory foam by Sleep Number with an adjustable air bed is beneficial for firmer (higher Sleep Number) settings. With a firm support core, memory foam provides contouring pressure relief. Gel infusion is one solution, but it has its limitations. Lower density foam absorbs less heat the higher density memory foam. Open-cell foam helps by allowing air to filter through the foam. Greater airflow can be achieved by perforating the memory foam, cooling the foam more effectively. This is used in the Airflow Transfer System, patented by Selectabed. However, memory foam cannot compensate for hammocking. Some Sleep Number bed owners complain about sagging in the middle, otherwise known as hammocking. An air bed hammocks when the heavy midsection of a sleeper’s body pressing down on the middle of the air chamber transfers air to the head and feet, pushing them up. First, the natural curves of the spine are on the front-to-back plane, but side-to-side the back should be a straight line. Secondly, because of this, side sleepers generally prefer softer mattresses so the shoulders can sink in enough to let the neck be in line with the backbone. This also lets the hips sink in enough so there’s support for the lumbar. 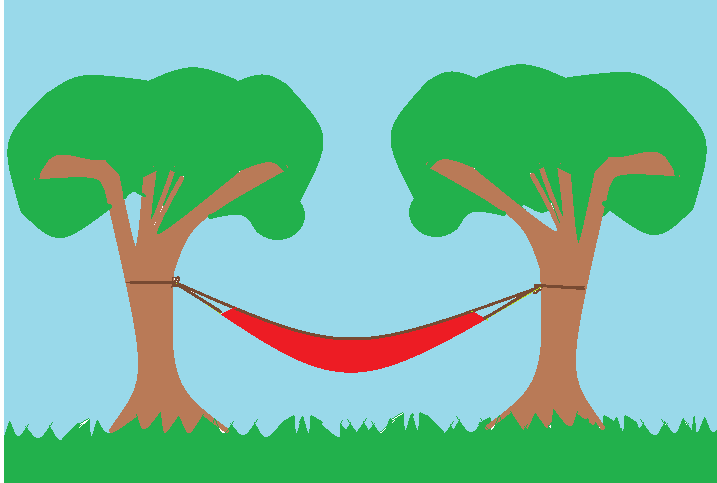 Thirdly, hammocking is more likely with softer (lower pressure) than firmer air chambers. The problem is also worse for heavier sleepers. A solution to hammocking is provided by multiple, independent air chambers, as used in Air-Pedic Beds by Selectabed and Night Air Beds by Boyd Specialty Sleep. All Air-Pedic beds use 6-Zone Air Support. Night Air has 6-Chamber and 2-Chamber beds, giving the customer a choice. Each side of the bed has three air chambers. Head and foot chambers are adjusted together, separately from the center chamber. The center chamber has a higher pressure. While the midsection is held steady, the user can raise or lower the pressure in the outer chambers until the spine is straight This means that the bed can be adjusted for the user’s sleeping position, whether on the back, the stomach, or the side. As with most mattresses, the i7 Bed by Sleep Number gets mixed reviews. The only direct reviews of this model are those found on Sleep Number and on Yelp. Sleep Like the Dead (SLTD) has an estimated owner satisfaction rate for the 360 i7 Smart bed. Some inferences may also be drawn from reviews of Memory Foam Series beds on other sites, but these are not definitive. Of the three 360 Smart Beds, in 2018 i7 had the fewest reviews (63) and the lowest average rating (4.40, 87.94%). The p6 had 412 reviews with a 4.47 average (89.37%), and i10 had 136 with 4.71 (84.12%). Now, in 2019, the 360 i7 Smart bed has 657 reviews with a 4.74 (94.82%) average rating. However, according to our Verified Review Policy, these cannot be used in the final rating. So far, there are no ratings of i7 on GoodBed. The original i10 (both new and old) has twice as many mentions on Yelp than the i7, 10 vs. 5. The i7 also has the lower average rating (counting only those who have used the bed), 2.75 to i10’s 3.63. Sleep Like the Dead did an estimated owner response for the newest version of the i7 bed at 78. This is slightly higher than Sleep Number’s 77% owner satisfaction rate, the lowest in comparison with five other airbed brands. SLTD noted, “Previous iteration lowest rated Sleep Number model,” so the more recent remarks appear to be better than those for the original i7. The average rating based on Yelp and SLTD is 3.30 (66%).This is probably on account of the low number of reviews, and SLTD had access to more than those on Yelp. The picture could be completely different in a year.